If you are looking to create an ultra chic and modern bedroom the Manhattan furniture range is the one for you. All the items in the range share the same high quality gloss white finish. The Manhattan 2 door wardrobe is futurisitc in design, both doors feature recessed handles that are very ergonomic and easy to use. 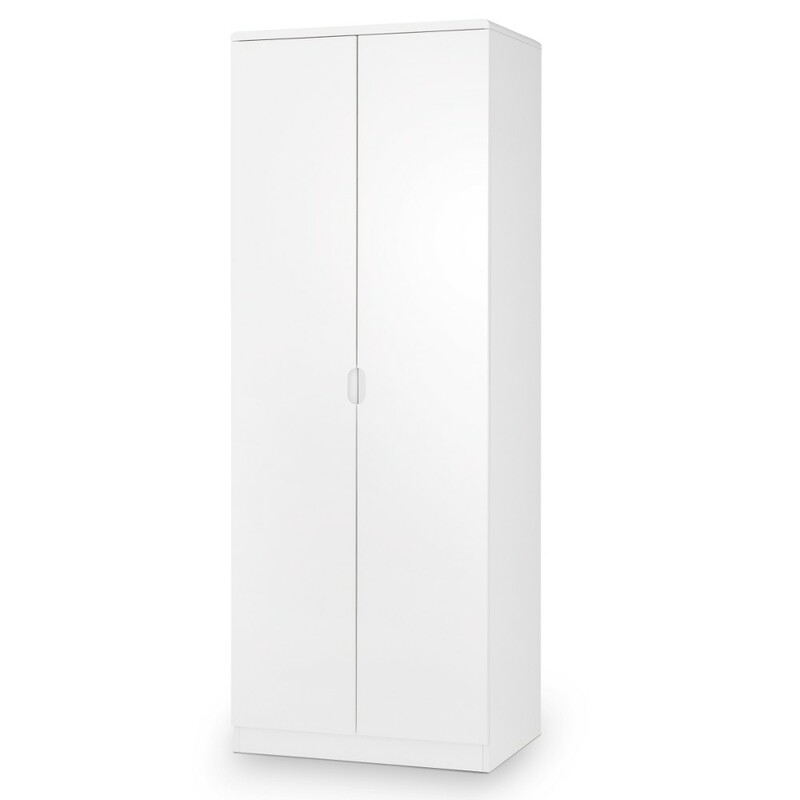 The wardrobe does not feature any parts that stick out of the main shell giving a very sleek and contemporary design. The wardrobe as a wide hanging rail space and a large storage shelf, providing a large amount of storage. Тhe Manhattan Wardrobe is supplied flat pack for ease of delivery and storage. The drawers are easy to assemble using the instructions provided. The product is part of the Manhattan White Wooden Bedroom Furniture Collection.